Iranian authorities must immediately respond to the health and security concerns of 27 Kurdish political prisoners on a month-long hunger strike in Orumiyeh, said 21 human rights organizations today. These organizations also urged Iranian authorities to immediately investigate and remedy the broader set of rights violations these men have allegedly faced while in detention. These Kurdish political prisoners, detained in Orumiyeh (Wermê) Central Prison, have been protesting the conditions of their detention since 20 November 2014. The hunger strikers object to the ongoing transfers of political prisoners to wards housing inmates convicted of violent crimes, such as murder, and the simultaneous introduction of such inmates to Ward 12 of the prison, which typically houses only political prisoners. Iranian law requires the overall humane treatment of all prisoners and specifically mandates that political detainees be separated from those convicted of serious common crime. Prison authorities have tried to pressure the men into ceasing their strike by allegedly resorting to threats of execution, beatings, and transfer to remote prisons in the south of the country, far from the Kurdish region in northwest Iran. The prisoners, however, have communicated to rights groups that they will continue their peaceful strike until their demands are met. Recent reports indicate that as a result of the month-long hunger strike, several prisoners, including Reza Rasouli, Yusef Kaka Mami, Sherko Hasanpour, Sirwan Najawi, Abdullah Omumi and Mohammad Abdollahi, are in critical condition. Article 39 of the Constitution of the Islamic Republic of Iran prohibits offenses to the dignity of detained persons. Moreover, Iran’s Prisons Regulations and Regulations on the Methods of Separation and Classification of Prisoners both require the separation of inmates based on their class of crimes. Despite the new government’s pledges, the number of ethnic minorities and activists facing imprisonment, torture, and even execution continues to rise. According to right groups Iran holds at least 900 political prisoners and prisoners of conscience, including roughly 400 members of the Kurdish community. Rights groups maintain that the detentions of the 27 men on hunger strike appear to stem from their exercise of fundamental rights, including freedom of expression and freedom of association, or reportedly follow unfair trials. Ten of these prisoners await death sentences for alleged national security offenses. The situation of Kurdish political prisoners at Orumiyeh Central Prison exemplifies the alarming conditions of prisons throughout Iran. The reported physical abuse and threats to life of these prisoners constitute clear violations of Iran’s national and international commitments, including Article 7 of the International Covenant on Civil and Political Rights, which prohibits torture or cruel, inhuman or degrading treatment. d) Investigate the cases of the political prisoners in Orumiyeh Central Prison, overturn death sentences for offenses that do not constitute most serious crimes, and immediately and unconditionally release all individuals held in connection with their peaceful exercise of freedom of expression or association. 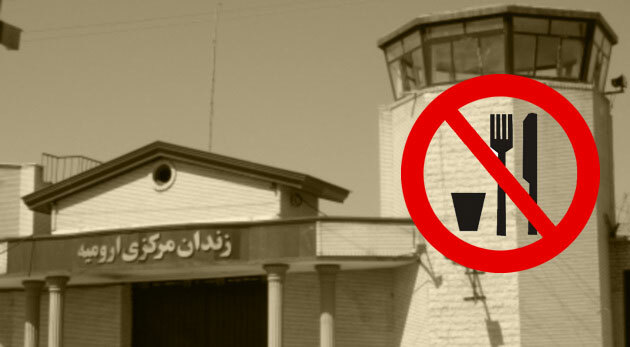 The ten death row prisoners currently on hunger strike: Mr. Sami Hosseini, Mr. Jamal Mohammadi, Mr. Behruz Alakhani, Mr. Ali Ahmad Soleiman, Mr. Saman Nasim, Mr. Sirwan Najawi, Mr. Ebrahim Eis Pour, Mr. Ali Afshari, Mr. Rezgar Afshari, and Mr. Mohammad Abdullahi. The other seventeen prisoners on hunger strike, who are serving prison sentences ranging from six months to 34 years: Mr. Masoud Shams Nejad, Mr. Sherko Hasan Pour, Mr. Abdullah Bislnun, Mr. Yusef Kaka Mami, Mr. Osman Mostafa Pour, Mr. Mostafa Ali Ahmad, Mr. Abdullah Omumi, Mr. Wali Afshari, Mr. Kayhan Darwishi, Mr. Mostafa Dawoudi, Mr. Shursh Afshari, Mr. Khezr Rasul Merwat, Mr. Mohammad Abdullah Bakht, Mr. Amir Molladust, Mr. Ahmad Tamuy, Mr. Jafar Afshari, Mr. Reza Rasouli.